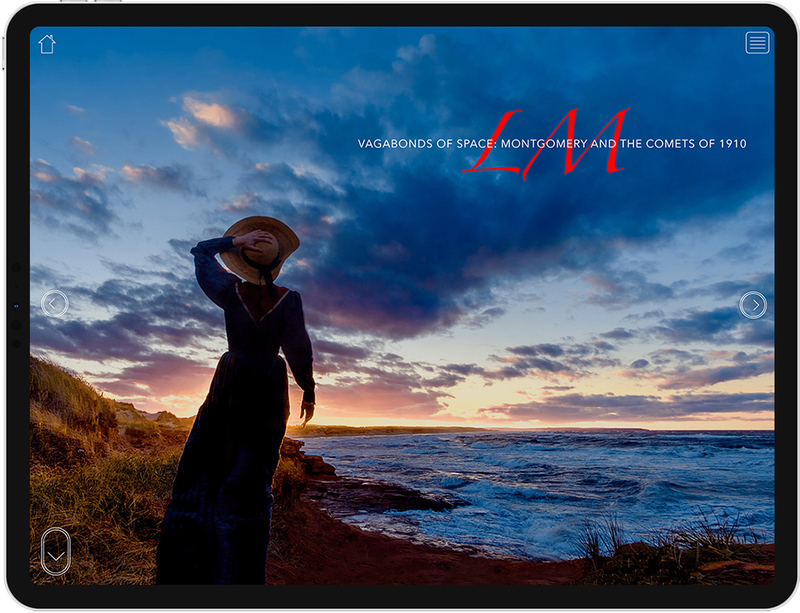 Our kiosk enables us to showcase a public humanities project about L.M. 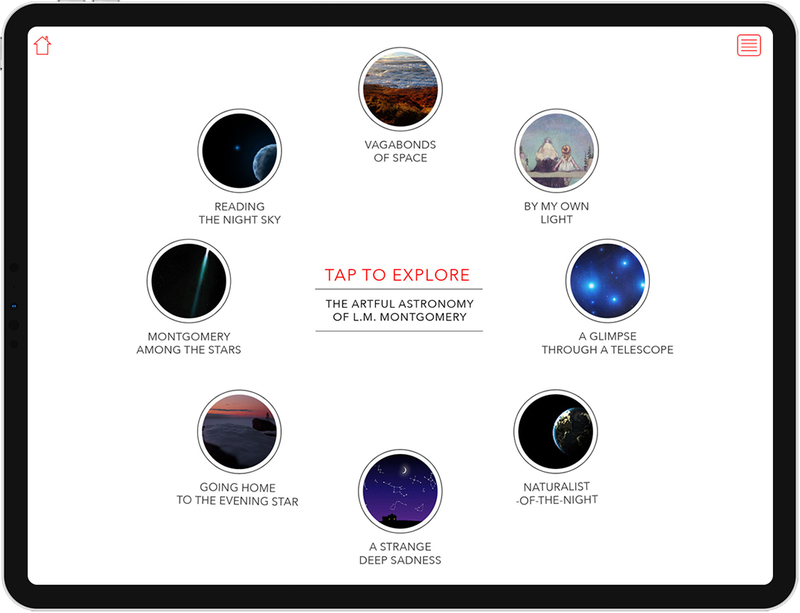 Montgomery's fascination with astronomy and the night sky. Print media is great, but you can only present so much information before running out of space. 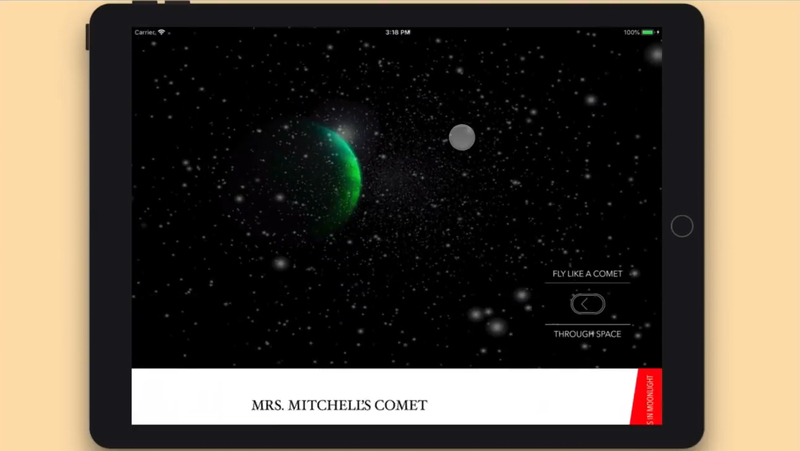 By adding a digital component to this project, we were able to provide a lot more content for our visitors to explore. The interactivity ensured that they could choose their own path through the material, which enabled a more dynamic user experience. Because we housed the iPad kiosk within a foam core display, the Screensaver videos drew a lot of attention. There's just something really eye-catching about the contrast between print and digital media, especially when motion graphics are involved. We created our content in InDesign and exported it to html5 using in5, which worked great, but we still needed to figure out a way to present our content fullscreen on the iPad. Not only did Kiosk Pro pair perfectly with in5, but we were able to run our project entirely offline. This capability took the stress out of setup, as we didn't have to worry about the reliability of the local wifi network. Developing dynamic content is always a challenge, but do your best to enjoy the process and make something you'd genuinely have fun using yourself. That positive energy will always translate into a better user experience.